As a father of two, I know it’s not easy to stay in good shape. It doesn’t help if you’re a craft beer enthusiast or like eating meat. A couple of years back the Internet happened and made “dad bod” a meme. Dad bod is actually a term for the belly of slightly overweight males. The net is full of articles about this. Even girls like the dad bod, they say. 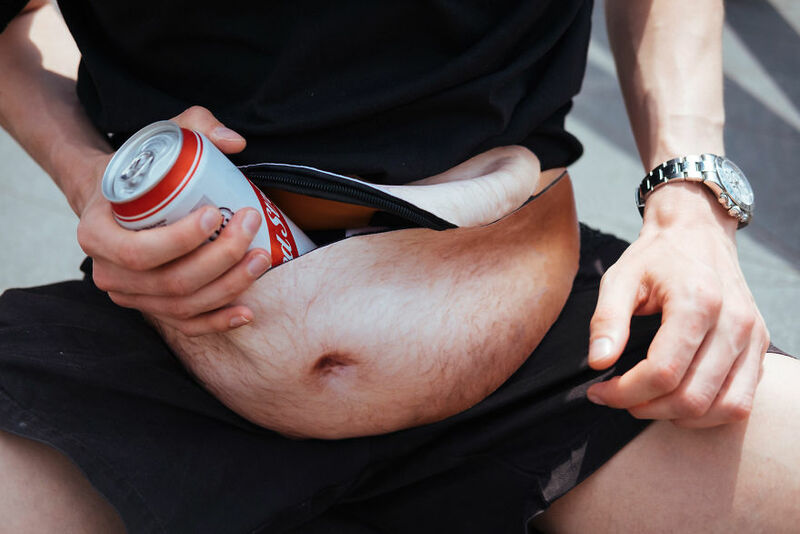 If you want to read more about dad bod, please read this: What the Hell Is Dadbod, the Latest Lifestyle Trend Breaking the Internet? and one of the opposite opinions: Stop the Dad Bod Nonsense. I think it’s funny and normal thing at the same time, which doesn’t need any particular name or definition though. Someone recently brought the phenomenon back up as new and made a mockup of a concept called Dadbag. It’s ingenious! Although, I won’t need it since I already have one. Read more at Boredpanda.com (source).